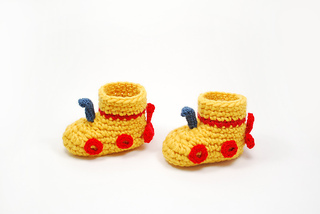 These bright and playful ‘Yellow Submarine’ baby boots were inspired by a couple of friends who love The Beatles and became parents a few months ago. 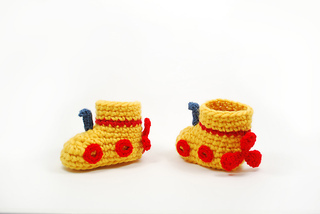 I though this could be a brilliant present for them and their baby! 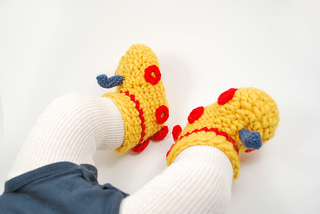 This pattern contains all the instructions you need to crochet 4 sizes for babies up to 12 months old. They are worked from toes to the heel, bottom to top in the round; this way the joints will end up hidden at the back.